Eggs are well known symbol of Easter. They are almost the most important part of this holiday. Since everybody is trying to be original in painting them, we are giving 25 cool ideas to help you.Seeing it will wake up a spring atmosphere: like in vases, flowers always looks fresh. Use your imagination and mix the materials you prefer. 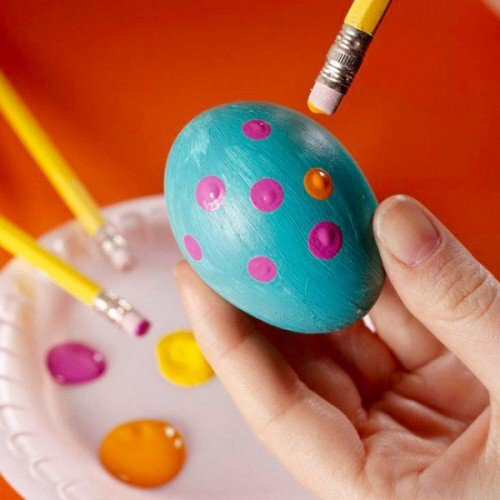 Surprise everyone with new creative ideas and make wonderful Easter eggs.